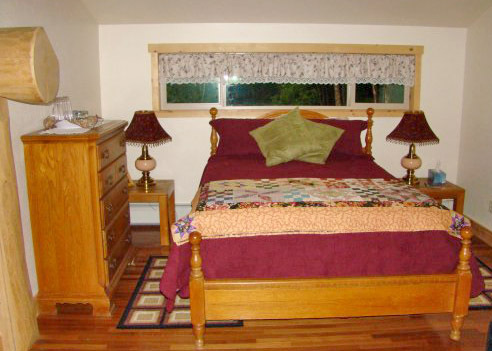 This room has vaulted ceilings with exposed log timbers, solid mahogany floors, darkening window shades. 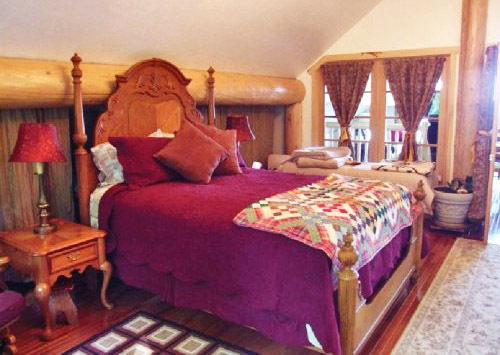 The bedroom features 2 queen beds and 2 single beds, en-suite bathroom and balcony looking up Indian Mountain. The adjacent sitting room is complete with a comfortable leather couch, a table that seats six, and 2 single beds. 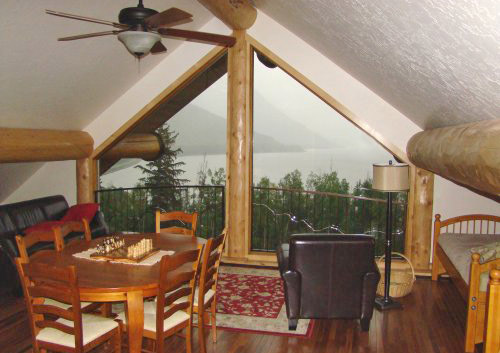 There are floor to ceiling windows, framing the splendor of the Turnagain Arm.